“When Lydia cries, Clover will go up to her and lick away her tears." Lydia was born with a disease in her leg, and three years ago, she had to have it amputated. 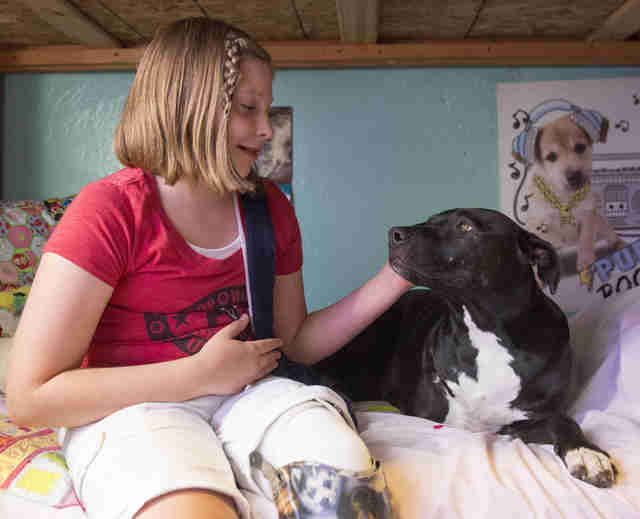 Losing her leg was incredibly hard on Lydia, as she felt like no one understood what she was going through. 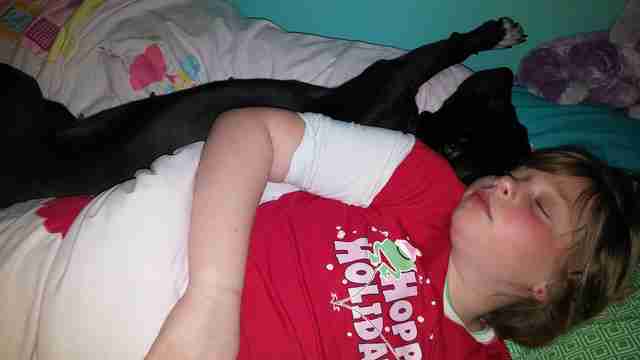 Her mom tried to come up with a way to help her feel less alone — and decided to adopt a dog. 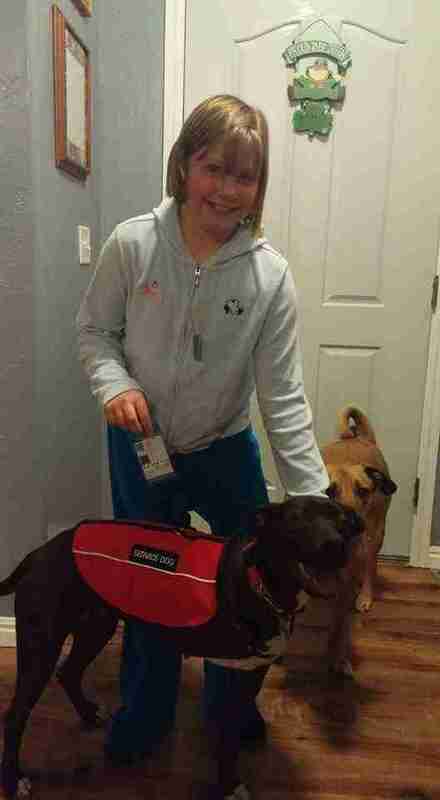 Lydia’s mom started calling all the different shelters in Utah, trying to find a dog that could help Lydia through the tough time she was going through. The problem was, she wasn’t just looking for any dog — she was looking for a dog who was missing a leg, just like Lydia. 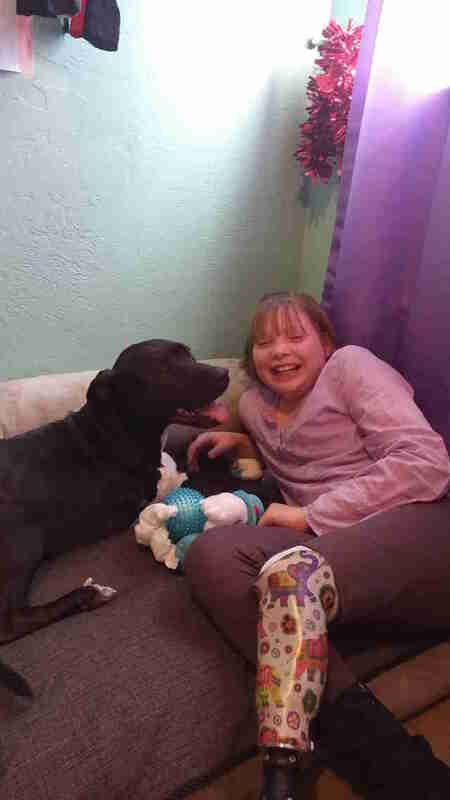 After months of searching, Lydia’s mom got a call from Best Friends Animal Sanctuary. They’d just taken in the perfect dog for her. Clover was found wandering the streets all alone, likely after being hit by a car. One of her front legs was badly injured, and all she could do was drag it along with her, completely unable to use it. After examining her further, vets determined that there was no way to save Clover’s leg, and she had it amputated. 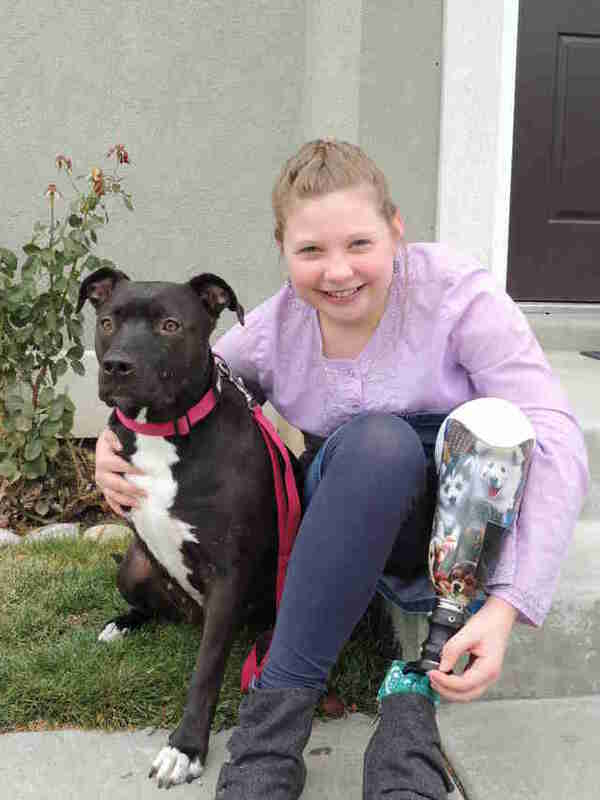 Luckily, Clover adjusted well to life with only three legs, and Lydia’s family knew that Clover would be the absolute perfect role model for her. Lydia’s family quickly adopted Clover, without telling Lydia, and brought her home one day as the best surprise. After the initial shock wore off, Lydia was absolutely overjoyed to welcome Clover into her family, and from that moment on, the pair became the best of friends. … to just snuggling together at home, Lydia and Clover are always there for each other, no matter what. Sometimes Lydia still gets down about her leg and all that she’s been through, but now, instead of having to deal with those emotions alone, she always has Clover to turn to, since Clover seems to understand exactly how she feels. Clover even helps Lydia sleep at night by cuddling up next to her. Both Clover and Lydia have been through a lot, and were just looking for someone who would understand. Now they have each other, and as long as they’re together, there isn’t anything this pair can’t do.